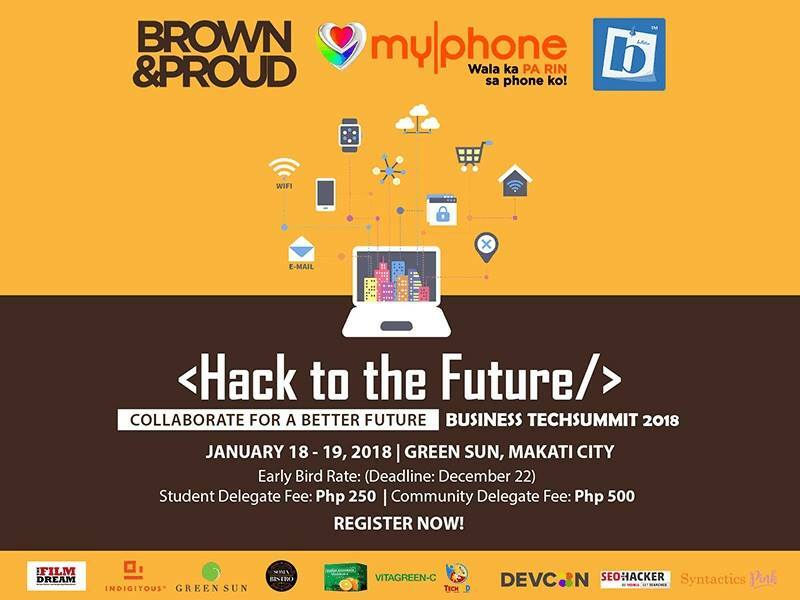 MyPhone together with with Brown & Proud and BBulletin will work together to bring in their dream project, the TechSummit 2018 on January 18-19, 2018. The theme is going to be "Hack to the Future: Collaborate for a Better Future". This is in line with their effort to provide the Filipino youth with the right technological tools and knowledge. This can result into world class products and services. We want to showcase the beauty and elegance of the Philippines, including its products, cultures, heritage, even the local brands here, the food, as well as the fiestas and festivities that we enjoy. We are a country rich in culture and heritage that when creatively expressed, can be truly spectacular and world-class. We also aim to foster a collaborative environment among barangays, non-profit organizations, universities and academe communities, government agencies, and the Filipino citizens. The story of the Solid Group started decades back. It was after the World War 2 when a lady from Tacloban made a living out of reading and acting comics to people who weren't able to read. From that little money she was able to go to Manila and start a new life. The young lady in the story is Elena Lim. She is now the founder of several companies that brought us several known brands in the country. A recent study from the World Economic Forum for the Global Information Technology Report states that the Philippines has a continuous rate of improvement in terms of utilizing the benefits of information and communications technologies since 2014 until present. Filipino youths are generally technologically-inclined. Just imagine how many hours we spend every day on our mobile phones, on Google, YouTube, and all those social media sites. The interest is already there. We just need to educate and direct them towards the better use of information and technology in realizing their dreams. How we can harness the power of technology to better communicate and effectively disseminate information, with authentic and timely contents is one of the things we want to impart to the summit delegates. They believe that the Business Tech Summit is the place wherein the Philippine tech community can continue to grow, share and collaborate with each other. This will also be the stage wherein Filipinos are going to be able to learn how to adapt, understand embrace the evolution of technology.